You can try Facebook for the up-to-date daily news. Please see menu on the left column, for direct access. BIRD DAMAGE : The LOCAL RULE has been lifted that allowed relief from disturbed turf. The bird damage has repaired itself, having patiently waited for the crows to stop winter foraging for grubs. Greens will be out of play during the 2-day process. Temporary flags are in play on the fairway on each hole. The Ladies will not have an official competition on TUESDAY 26TH JUNE. ALL WELCOME TO PLAY OVER THESE 2 DAYS. MONDAY - VISITORS AND MEMBERS MAY TAKE ADVANTAGE OF HALF PRICE GREEN FEES, WITH OUR APOLOGIES FOR THIS ESSENTIAL DISRUPTION. We are very grateful for another year, when you have continued to support us by playing your golf at Sudbrook Moor Golf Club. Thank you for your commitment, particularly when you take advantage of our Pre-Christmas special Unbroken Loyalty Membership Fee, giving us confidence that our somewhat unique system of golf club membership will be viable again into another year. 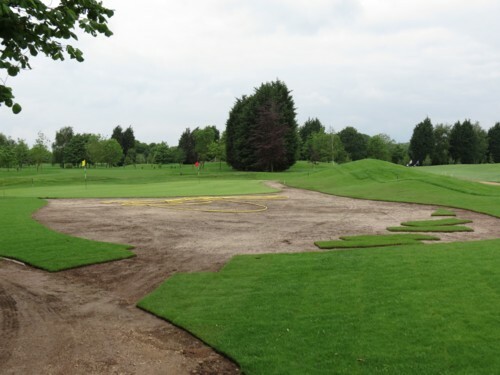 Membership at Sudbrook Moor has evolved into a structure that provides a very low financial commitment, with modest pay-and-play fees and it would be difficult to replicate this at another golf club. Successful as the system has been so far, it holds no guarantees of meeting running costs, except for a steady flow of Members week by week, deciding to play golf at Sudbrook Moor. In this we trust and in this we remain committed: to an ever improving golfing venue, keeping fees as low as possible in order to provide the best possible value. There are many things that we are thankful for. The land drains very well, providing us with a golf course that is in good playing condition all year round. We are in a very pleasant part of the countryside enjoying some of the best weather. 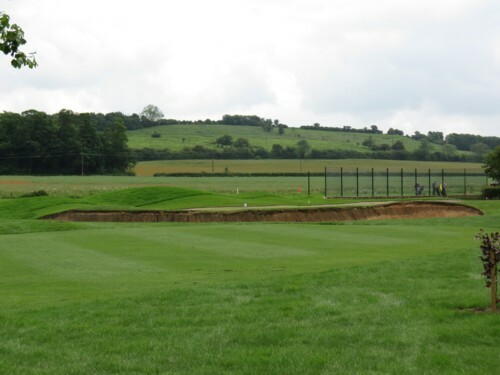 Our plot of land works well with ample parking, Clubhouse, Changing Rooms, Golf Shop and Practice Facilities, including the Driving Range, Putting Greens, Chipping Green and Practice Bunker. Most of all, there is a friendly atmosphere around the golf club and the credit for this we give you, the Members, with our grateful thanks. .
As well as these assets, over which we have little control, we are a proprietary owned golf course, committed to putting our Members first. An example of this, differentiating us from other golf clubs, is that we try to keep the Tee open for play, with very few reservations, so that our Members can turn up and play almost anytime. To this end, we do not have visiting Golf Societies, which is a necessity that most other golf clubs are committed to financially, thereby closing their courses to Members for long periods of time. In addition, we do our best to make every visit you make to your golf club an experience that is as enjoyable as possible. We are so fortunate to have staff who are naturally friendly and helpful. It is vitally important that we keep our service the best we can offer and we will implement any refinement, if it offers benefit to the majority of the membership. Thank you when you share your observations and feedback with us. 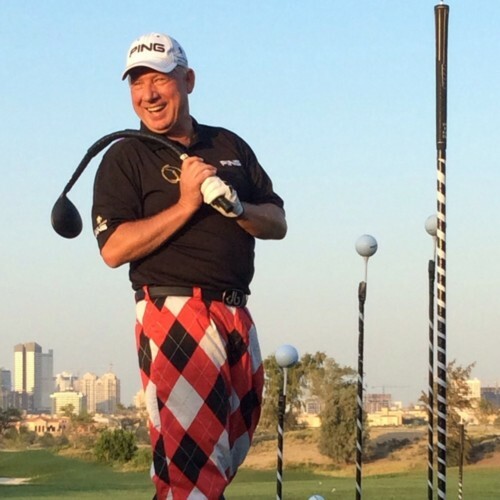 Golf is recognised to be one of the best participation sports providing a lifelong leisure activity. It offers fresh air and gentle exercise with your friends, whilst always making new friends. In fact, it is not surprising that a Swedish study indicates that playing golf adds years to our lives! So whether you come along to Carlton Scroop to have a round on the Putting Green and a coffee in the Clubhouse or you are here to win the Club Championship, we thank you for your support and wish you many more years of enjoyable golf at Sudbrook Moor Golf Club. Proud Dad, Ian, with Darren holding The Ken Crowe Challenge Trophy. Darren won the trophy with a net 60 in the May Monthly Medal. Local historian, David Bristow, has written an account of a tragic incident during world war 2, when 2 American aircraft collided above what is now Sudbrook Moor Golf Club. You will see from the picture that one of the propellers landed ne ar the railway bridge. The picture has been produced from an original photo of the propeller and a contemporary photo of the bridge. We are selling copies of the book for David in the Golf Shop, priced £7.99. England Golf London Pride Gold Medal, which he won in June. The New 8th / 17th Green is open for play. moisture from the green and surrounds. We knew we were taking on a big job ! 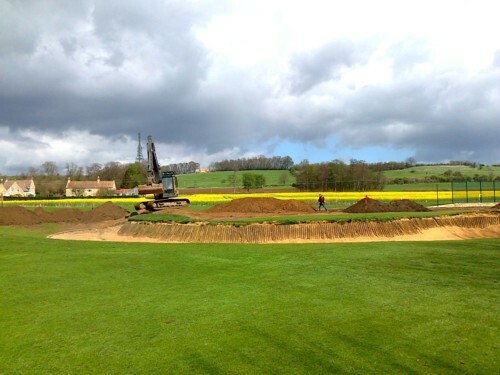 Reshaping the 9th / 18th Tee and rebuilding the wall. from the 9th / 18th Tee. from errant high flying shots to the 8th / 17th Green. 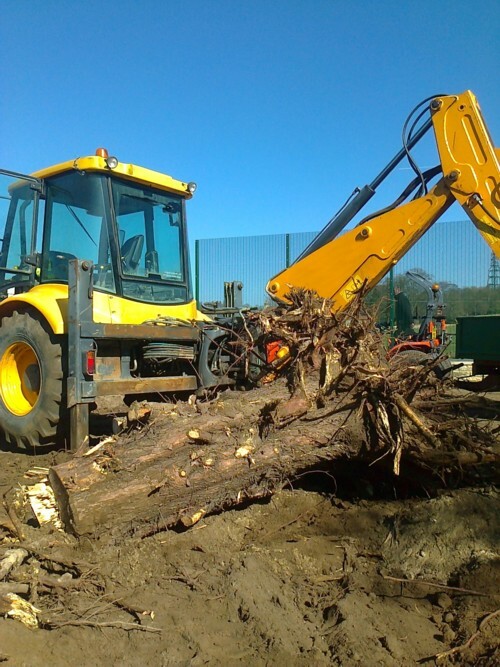 Removing 30 + leylandi trees and roots. Importing soil and landscaping surrounds. Steve Davis, Sudbrook Moor Competition Secretary. Ash Tree on the 8th had some surgery. Note where the surgeon is !